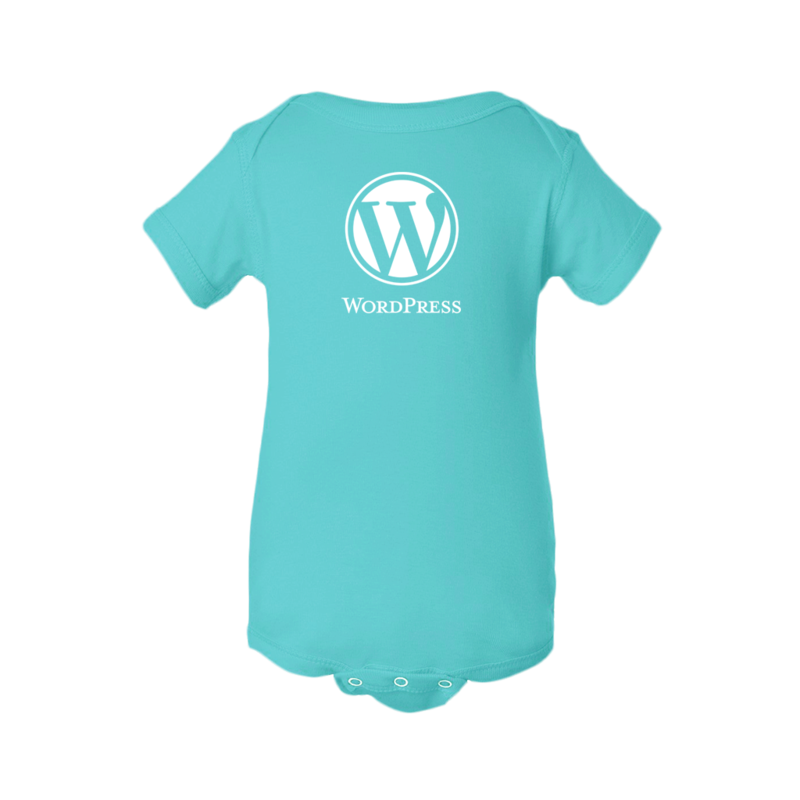 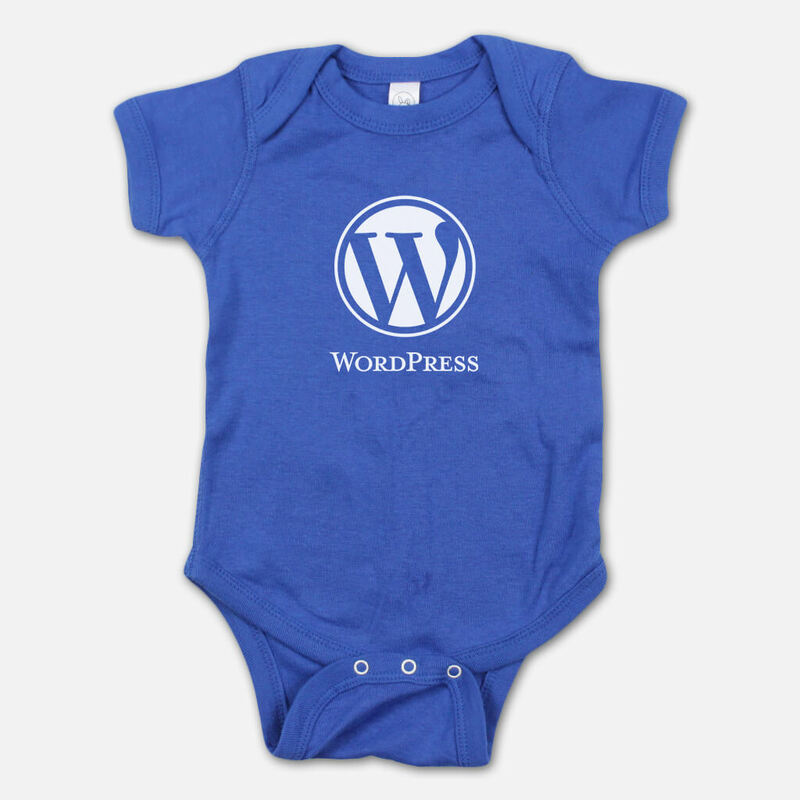 Get those babies started off on the right foot with this classic WordPress logo onesie. 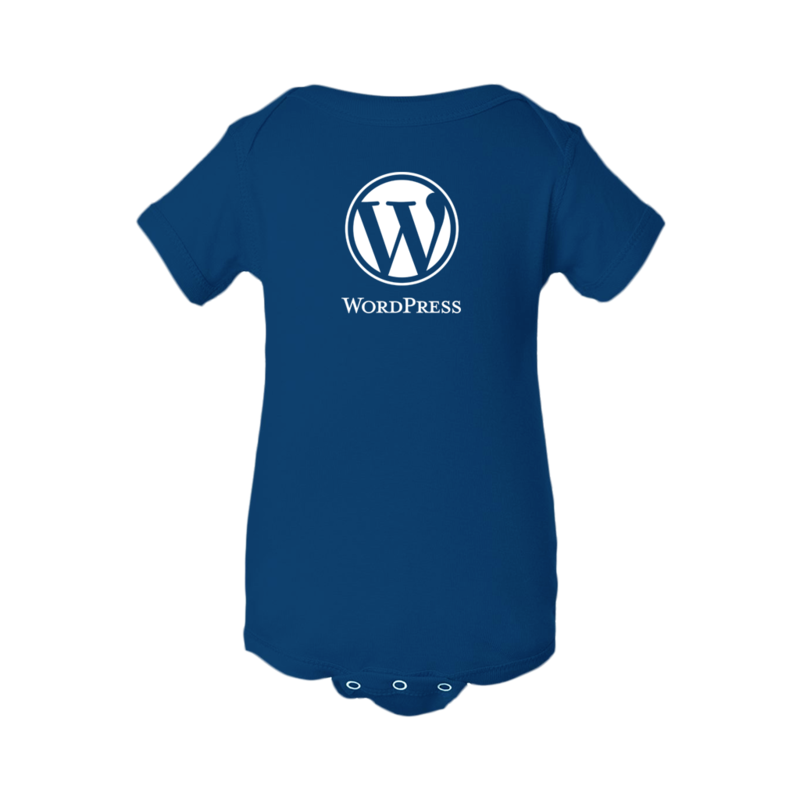 Available in Navy, Violet, or Dijon. 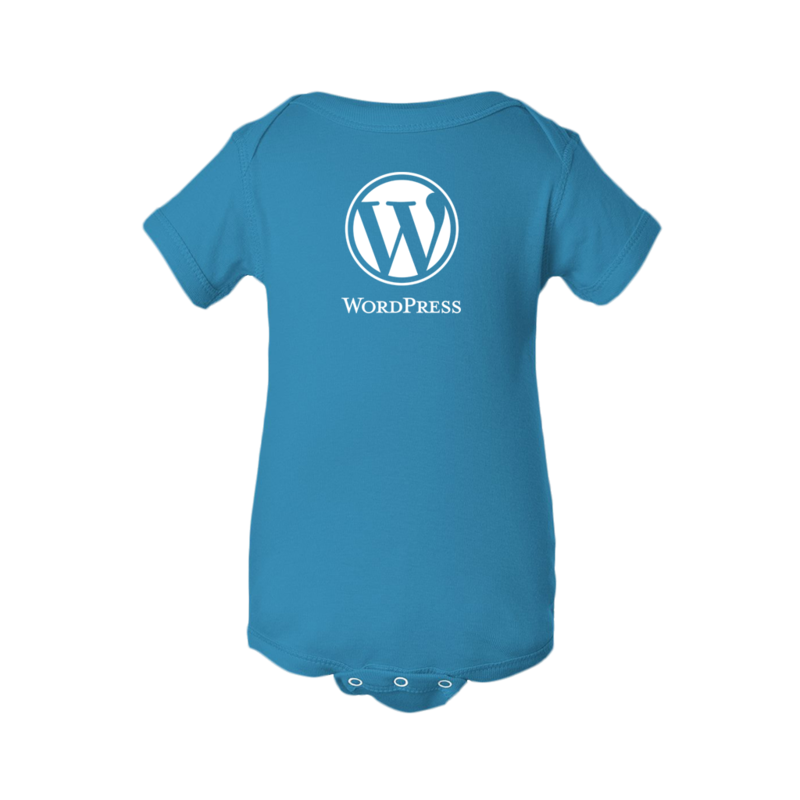 Printed on American Apparel Organic Cotton or Rabbit Skins 100% Cotton.